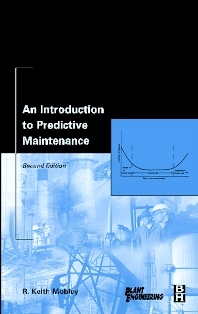 This second edition of An Introduction to Predictive Maintenance helps plant, process, maintenance and reliability managers and engineers to develop and implement a comprehensive maintenance management program, providing proven strategies for regularly monitoring critical process equipment and systems, predicting machine failures, and scheduling maintenance accordingly. Since the publication of the first edition in 1990, there have been many changes in both technology and methodology, including financial implications, the role of a maintenance organization, predictive maintenance techniques, various analyses, and maintenance of the program itself. This revision includes a complete update of the applicable chapters from the first edition as well as six additional chapters outlining the most recent information available. Having already been implemented and maintained successfully in hundreds of manufacturing and process plants worldwide, the practices detailed in this second edition of An Introduction to Predictive Maintenance will save plants and corporations, as well as U.S. industry as a whole, billions of dollars by minimizing unexpected equipment failures and its resultant high maintenance cost while increasing productivity. Mr. Mobley is president and CEO of Integrated Systems Inc. of Knoxville, Tenn. He has written numerous publications on such topics as plant performance, maintenance engineering, maintenance management, and predictive maintenance. He is also a contributing editor for Plant Services magazine.